There was a time, ten years ago now, when Arsenal sat proudly on top of the Premier League. With the technical quality of Messrs. Pires, Bergkamp and Henry, they were a cut above. And when opponents looked to break them by more nefarious means, they could stand up to that too. Patrick Vieira and Gilberto Silva, man mountains the pair, could mix it with the best and far more often than not, were left standing victorious. Tactically, technically and physically outstanding, Arsenal’s invincibles are still revered. Contrast that with now. Off the pitch, they appear stronger than ever. Highbury, somewhat outdated, has been replaced by the wonderful Emirates Stadium, where 60,000 supporters pay something approaching a king’s ransom every other week to watch their side. Cash reserves are plentiful and according to chief executive Ivan Gazidis they are in a position to compete for the world’s best players. However, after a summer of seeming nothingness, all is not right with the Gunners. The line that they haven’t won a major trophy since 2006 has been done to death, but at no point in the intervening period has another success seemed further away than it does at present. A lightweight-looking squad was not strengthened during the summer; numerous fringe members were allowed to leave and only the young striker Yaya Sanogo – a French under-20 international signed on a free transfer from Auxerre – was forthcoming. Sanogo may well go on to have an excellent career, but at present he is raw and not ready for regular action at the top of the Premier League. Simply he isn’t enough. However, Wenger showed little inclination to do the necessary to add either quantity or quality. Gonzalo Higuain was allowed to move to Napoli when Wenger wouldn’t pay Real Madrid more and decided to pursue Luis Suarez instead. That deal seemingly died a death when he couldn’t sign him at his minimum price and when Liverpool showed they wouldn’t be bullied. However it is the lack of a positive conclusion in a deal for Luiz Gustavo, the excellent Bayern Munich and Brazil midfield anchor who subsequently went to Wolfsburg, which may well have been the last straw for those supporters who chanted for the club to “spend some f*****g money” during their weekend defeat by Aston Villa. Wenger has spoken about how in his hunt for players, he will only spend on those who he believes offer improvement. If it wasn’t startlingly obvious before Villa’s 3-1 victory that 26-year-old Gustavo was such a player, then it certainly was by full-time. Arsenal started the game well and Olivier Giroud’s delicate flick gave them an early lead. In the opening 20 minutes or so they looked as though they had enough about them to be comfortable winners. However, then Villa decided to engage, to get in their faces, to front up in the midfield area. And whilst Ashley Westwood, Karim El-Ahmadi and Fabian Delph aren’t shrinking violets, nor are they all-encompassing dominant specimens. But they enforced their will on Arsenal’s trio of Jack Wilshere, Aaron Ramsey and Tomas Rosicky – all very good technically but who have all-too-often proven that as a collective they don’t enjoy obdurate, tenacious opponents – which would lead to them winning the midfield battle and ensuring that it was their forward line which struck the blows to win the war. That two of Villa’s goals came from Gabby Agbonlahor directly running through the centre of the field at an exposed backline, merely rubbed salt into the wounds. Had Gustavo been holding Arsenal’s midfield- as fate would have it his new team won 4-0 against the Bundesiga’s fourth best side, Schalke, on his debut, with the Brazilian completing 98% of his passes – it’s hard to imagine them being forcibly overpowered so easily. For an entire summer, Arsenal supporters have implored their club to make the kind of signings that could return them to the status of genuine title challengers. In the light of last season’s top three all changing their manager, 2013-14 is perhaps a chance for a first English league crown since that which the invincibles claimed in 2004. However, following a summer of procrastination, dithering, unwillingness – whatever you want to call it – Arsenal have failed to make any kind of statement, preferring to merely stand still. In doing so, they would appear to have only gone backwards, to an extent where the Emirates certainly shouldn’t hold any fear for visiting sides anymore. With an all too weak centre, the 2013 Arsenal vintage are a far cry from the whose who proved so dominant a decade ago. There is a sequence from the 1977 film “Force 10 from Navarone” in which Edward Fox’s character a demolition expert, sets explosive charges to blow up a bridge and then applies the plunger… nothing happens.. He then endures a nasty torrent of abuse from Carl Weathers’ character… and later as the action heats up the bridge crumbles just as the demolition expert planned it! despite the quality he had. one back. Cesc gets Puyol sent off and we level the tie. 4. Barcelona’s 2006 CL final Victory against Arsenal was secured against 10-man Arsenal. Now that we agree that losing a man usually proves fatal for even the most star studded teams we need to see how other teams will react if they had a stream of bad breaks in single game like we had last Saturday. Finally If it is true that losing one player can precipitated a loss. then it must be true that gaining a player can significantly rejuvenate a team and boost performance. Arsene must shoulder that blame. Even as kids we would get excited when a new neighbor moves with a kid in our age bracket, we would instantly become friends and our adventures would take a completely new and energetic turn. Sure enough our starting line up ought to mop the pitch with Aston Villa but the psychological underpinnings showed up for all to see. What we saw was a bunch of kids crying for a new kid on the block. Last season’s fight back was too dramatic to go unrewarded with Peer-to-Peer REINFORCEMENTS. 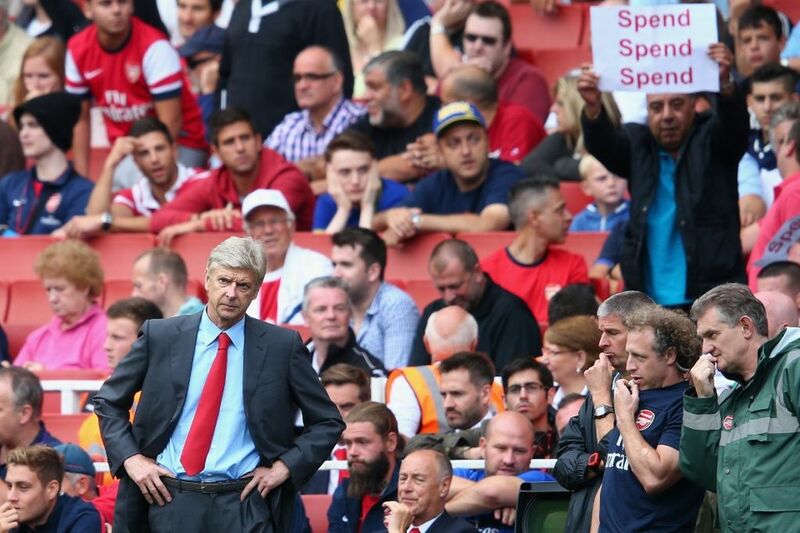 They unintentionally sent a message to Wenger…. Get us new friends NOW!!! !